They come, they eat some opium and they wander around in the fields making stoned crop circles. It’s a problem. About half of the world’s legally grown opium comes from Tasmania (Australia) where 500 farmers grow opium poppies on almost 50 000 acres of land, harvesting a crop destined for pharmaceutical laboratories to produce morphine and other medications. Tasmanian farmers might well grow more than half of the world’s licit opium, but after the wallabies, and possibly sheep, get through their share, half is all that’s left. The high wallabies, after eating their fill of opium, apparently wander about in circles, creating “crop circles” in the opium fields. Calls for comment to the Attorney General’s office were not returned. 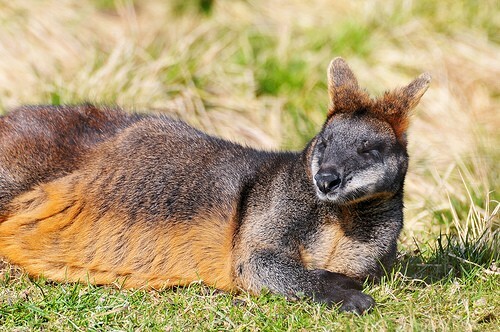 Rick Rockliff, an operations manager at Tasmanian Alkaloids, one of the area farms, reported that animal kingdom substance abuse may extend beyond intoxicated wallabies, saying, "There have been many stories about sheep that have eaten some of the poppies after harvesting and they all walk around in circles."